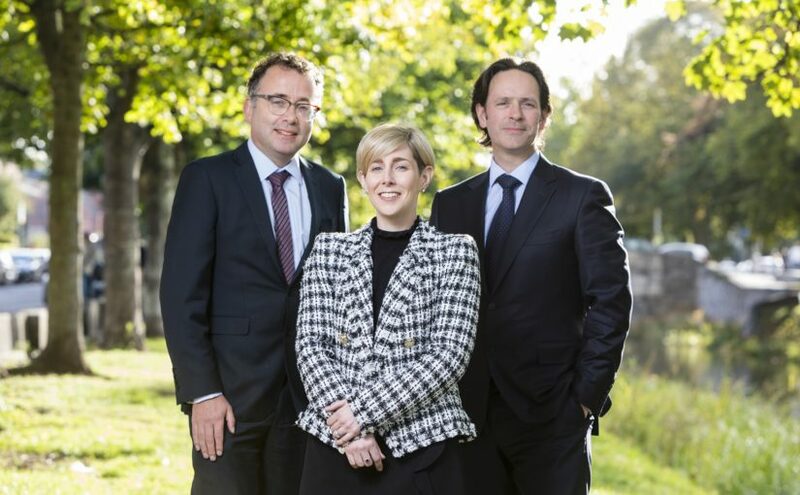 Tax partner, John Byrne (on left) with Naoise Cosgrove, managing partner announcing the appointment of Lisa Kinsella as tax partner to the practice. Crowe is pleased to announce the appointment of Lisa Kinsella as tax partner. A Chartered Accountant of 12 years standing, Lisa Kinsella joined Crowe in 2012 bringing a combination of ‘Big 4’ and smaller practice experience. Following completion of her Chartered Accountancy articles, Lisa qualified as a Chartered Tax Advisor where she was placed second in Ireland in her final examinations. Lisa oversees a comprehensive portfolio of both corporate and personal tax clients operating across a variety of sectors, such as hotel, tourism and leisure, retail, engineering and software as well as the not-for-profit sector. She has particular expertise in providing advice on optimum structures for share-based remuneration, company restructuring and providing guidance to FDI clients establishing operations within Ireland. From a personal tax perspective her expertise is called upon in advising high-net-worth clients on inheritance and tax planning issues. Lisa’s appointment is the latest in a series of senior tax appointments at Crowe – reflecting the ongoing growth and broadening of our tax service offering. Alison D’Arcy joins Crowe as a tax director, bringing 17 years’ experience working across all areas of taxation. A Fellow of ACCA and an AITI Chartered Tax Advisor (CTA), Alison specialises in family business taxation issues, estate and succession planning and tax efficient reward structuring. In recent months, Maeve Corr also joined Crowe as Head of Private Client Services at the firm to lead the development of a practice division focused on providing advice in areas such as taxation, financial planning, debt structuring, retirement strategies, family governance and succession planning.